Could Alaska’s Microgrids Seed the Globe? One could even argue that the Alaska microgrid industry already won. The northern most state boasts 12 percent of the world’s microgrids, making it the global leader for deployments. Now an Anchorage-based business accelerator, Launch Alaska, wants to cultivate the Alaska microgrid know-how and share it internationally. 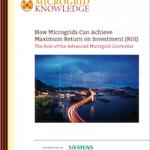 Learn more about Alaska’s leadership in microgrids. Attend Microgrid 2018, Models and Markets for the Greater Good. “There is a lot of expertise in Alaska that is ripe for export to the rest of the world. That is what Launch Alaska, our accelerator, is trying to do,” said Isaac Vanderburg, managing director of the non-profit. Launch Alaska expects microgrid technology to be the focus of at least half of the 30 energy-related companies it plans to foster over the next two years. The accelerator recently finished accepting applications for startups in the prototype stage and technologies that are deployment-ready. Grants may range from $75,000 to $1 million. The money will go toward problems facing the Arctic region, particularly in the areas of energy, food, water, and transportation. Another round of funding will be offered in the spring. As Vanderburg tells it, the Alaska microgrid industry has the right backing — and the state has the right problems — to be an effective international launching ground. For one thing, Alaska has provided more money for microgrid development — $250 million — than any other state government, he said. Alaska’s microgrid industry also enjoys a powerful Washington, D.C. connection: Lisa Murkowski, an Alaskan senator who is chair of the Senate Energy and Natural Resources Committee and an advocate for microgrids. 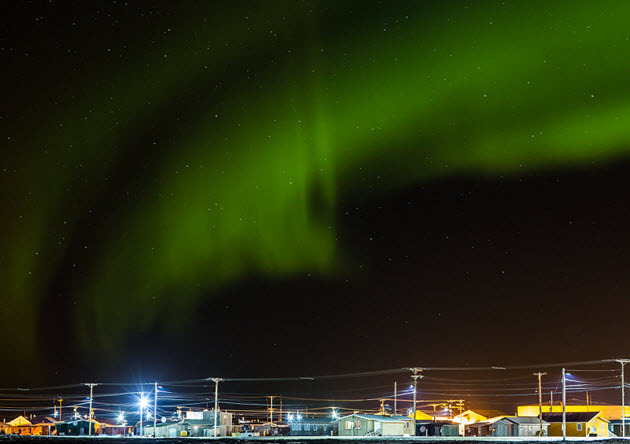 “We have significant energy challenges in many of our remote communities, but we are also an incubator of microgrid and hybrid-energy system solutions that will meet the growing challenges of grid reliability and resilience,” Murkowski said following the announcement last month of a $6.2 million Department of Energy grant for an Alaskan partnership to develop networked microgrids. On top of solid state and federal backing, Alaska has the kind of energy problems that microgrids help solve, which makes the state a good testbed. For example, remote communities often depend on diesel fuel, a vulnerable position when fuel supply chains are interrupted, as was the case in Puerto Rico following Hurricane Maria. In addition, energy costs are high in Alaska – very high. “Alaska still has second highest cost of energy in the US, behind only Hawaii,” Vanderburg said. Electricity costs are five times the national average, as high as 40 cents/kWh in rural communities, he said. Even more problematic, Alaska has the highest per capita energy consumption. So Alaskans use a lot of high-cost energy. All of these factors make the state a favorable environment for microgrid startups to test their wares. “Technologies that may not pencil out in lower cost markets may pencil out here in a real-world setting,” he said. Alaska offers a potential $770 million microgrid market by Vanderburg’s estimates. So there is plenty of opportunity within the state. But Launch Alaska is thinking bigger and wants to help its companies capture part of the $23 billion global microgrid market, expected by 2021. With $3 million to distribute over three years, Launch Alaska says its open to various microgrid technologies, but says winners are likely to offer business innovations, software advancements or hardware that’s ready to go to the market. Launch Alaska receives funding from several sources including the Department of Defense’s Office of Naval Research (ONR) and the U.S. Air Force Office of Energy Assurance, and the city of Anchorage. Descriptions of the initial companies funded by the business accelerator are here.